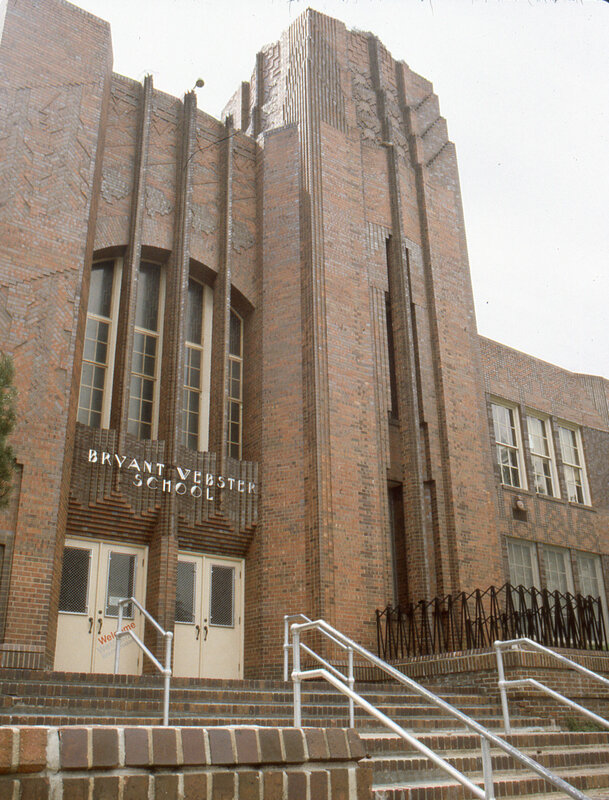 The Bryant Webster Elementary School is a Denver example of the Art Deco architectural style. Art Deco is characterized by an angular, linear composition, stepped or set-back facade, and polychromatic materials. Popular during the 1930s and 1940s, apartment buildings, school, and commercial buildings all over Colorado exhibit elements of this style. Geometric forms are the most common stylistic expressions. Broken cornice lines, low relief geometrical designs, spandrel panels, architectural sculptures, polychromatic materials and a vertical emphasis are also characteristic. Decorative façade elements include chevrons, zigzags, stylized floral and geometric motifs. 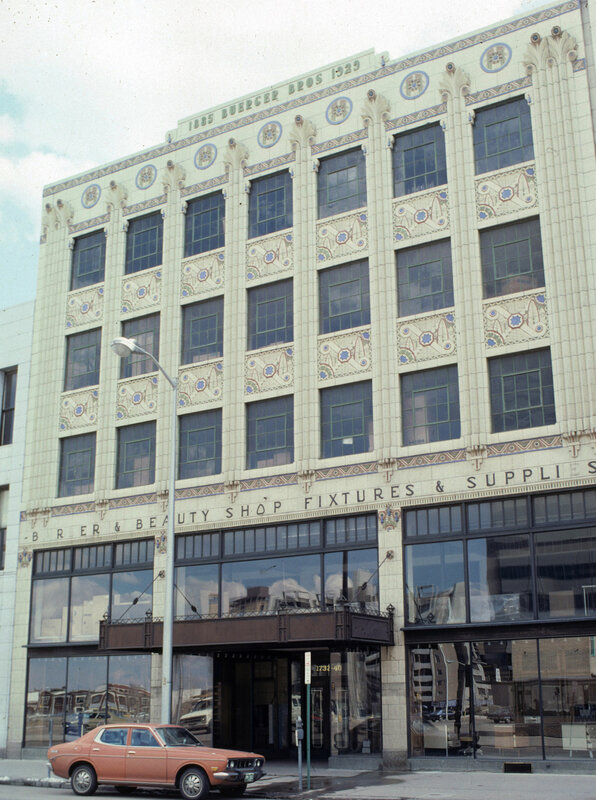 The Buerger Brothers building in Denver, an example of the Art Deco style.